The open world hacking saga from Ubisoft, Watch Dogs, is being released in 16 days and I have to say I’m stupidly excited for it. In fact I just tried to veto everyone so that I can review it but unfortunately I don’t yet have a PS4 so it’s not going to happen. But what I can do is at least show you the characters that we are going to be meeting in the game to get you into the mood. The main character of course is Aiden Pearce who is a highly skilled grey-hat hacker who is obsessed with the big brother nature of the city they live in with its continuous monitoring and heavy-handed security personnel. But we knew all about Aiden so lets rather take a look at the supporting cast who you are going to be meeting and working with during your campaign. First up we have the expert hacker and tattoo artist Clara Lille who is better known as the Profiler. Clara is considered a tool of Aiden’s as you can use her abilities to hack into anything connected to Chicago’s CenTral Operating System. Clara can hold up to 8 different abilities at a time which she can then use to perform certain tasks and open up new side missions. Next up we have T-Bone Grady who definitely reminds me a ton of Trevor from Grand Theft Auto. He’s a complete nut job who loves blowing things up and getting into fights. As with most characters in the game he is also a hacker and has been hacking since before the Internet was even a thing, or close enough. But you’re likely going to be using T–Bone to break some faces instead. Not much is known about Jordi Chin apart from that he is a member of the Fixers with an inane ability to get his hands on any weapon that is required. 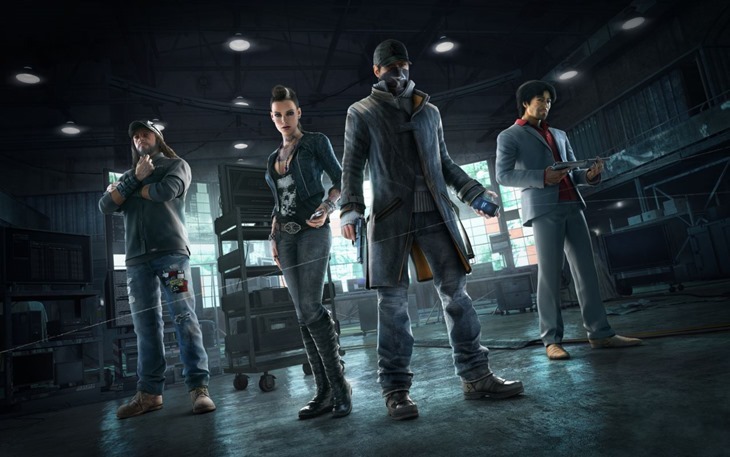 The Fixers are a band of mercenaries in Watch Dogs who can be hired to fix problems or clean up after you’ve fixed a problem. Jordi is expected to be quite a major player in the game and that is probably why his history and roles are being kept under wraps for now. Next up we have what I can imagine will be one of my favourite characters, Anthony “Iraq” Wade. Iraq is ex-military and now runs a street gang with military precision and tactics. Iraq knows nothing about technology and definitely prefers to solve his problems with his fists and weapons rather than hacking something. Last up we have Dermot “Lucky” Quinn who is a 75 year old philanthropist. Or what I actually think is going to be the main protagonist and mafia leader. Watch Dogs is being released on the 27th of May for all platforms – though the Wii-U versions been delayed a little. However the PlayStation 4 version is R100 more than the Xbox 360 version for some reason. Next-gen tax!